This clinical guideline is intended to be used as a template to help clinicians and administrators create their own policies. This sample guideline must be modified to make it applicable to each unique correctional facility. This guideline is not intended to apply to all patients. Practitioners should use their clinical judgement for individual patients. Introduction. Occasionally, inmates who have been assigned the top bunk of a bunk bed state that they have a medical condition that requires them to be given the bottom bunk instead. Since medical providers must be fair and consistent, it is important to differentiate medical need for a low bunk from requests made for non-medical reasons such as a desire for convenience or as a sign of increased status. Medical need. Medical need for a low bunk generally falls into one of two categories: Patients who are unable to safely climb onto the top bunk because of physical limitations and patients who have a medical condition that might lead them to fall off of the top bunk and injure themselves. Permanent physical disabilities, such as amputations, paralysis, or previous strokes. Temporary physical disabilities such as a broken bone or recent surgery. Seizure disorders which are current and ongoing. Conditions causing vertigo or dizziness, such as Meniere’s disease. Conditions which impair coordination such as cerebral palsy. Chronic pain syndromes independent of other conditions such as those listed above generally do not constitute a medical need for a bottom bunk assignment. Patients who have been successfully using a top bunk generally do not have a medical need for a bottom bunk reassignment unless their medical condition has acutely changed, such as with a traumatic injury. Example. A patient has been using a top bunk for three weeks. Now he comes to medical stating that there are several bottom bunks available in his pod. He would like medical to approve a bunk reassignment for him because of an old leg injury. The fact that he has been using a top bunk for three weeks indicates that this patient does not have a legitimate medical need for a bottom bunk. Nursing Personnel may address routine patient requests for low bed assignments based on this guideline. If nursing personnel are unsure or have questions, they may refer the patient to a medical practitioner. Documentation. Security personnel assign bunks, not medical personnel. Medical personnel are being asked if a patient has a medical need for a low bunk assignment. Therefore, medical personnel should document the answer to this question only. If a patient does have a legitimate medical need for a low bunk assignment, consideration should also be paid to the patient’s other housing needs. For example, a low bunk may not actually meet the patient’s needs; the patient may need a hospital bed. Patients who have a medical need for a low bunk assignment may need to be restricted to a bottom tier so that they will not have to climb stairs. Patients who are inmate workers may need work restrictions. If the medical need for a low bunk assignment is temporary (such as a broken arm), the bottom bunk memo should have a time limit. Sample guidelines can be found under the “Guidelines” tab (above) as they are published. I view these sample guidelines as a group effort! If you have a suggestion, critique or simply a better way to phrase some concept, say so in comments! This entry was posted in Guideline, Inmate issues, Uncategorized and tagged Bottom bunk, correctional medicine, evidence based medicine, housing, inmates, jail medicine, jails, prisons on December 6, 2018 by Jeffrey Keller MD. Excellent and useful as usual. Happy Holidays! Thanks, David! As you know, your opinion is important to me! Low bunk passes are always controversial and are a responsibility that we have to do in Jails/Prisons. Writing a pass regardless what type of pass is a big issue, a lot a new provider’s write passes for everything, mainly because there are not clear guideline or unknown consequences of writing them. Remember do for one inmate will have to do for the entire population. Also if start writing passes like crazy, security, administration and classification will call your attention. One of the problems is that we were not trained to write passes, so we need to learn what is going on. Because this is an imposed task to the clinicians. The best to do is AVOID writing passes, but if there are necessaries, use clinical knowledge, common senses and guidelines. Another thing I did is experiment myself what’s going on , I went to the dorms and special housing areas and see how are the beds, what is the limitation to get in the top, go up and down top bunk myself. Let me tell you is not that easy but can be done. I’m 5’8, 170lbs and takes a little of a trick to get up and down. 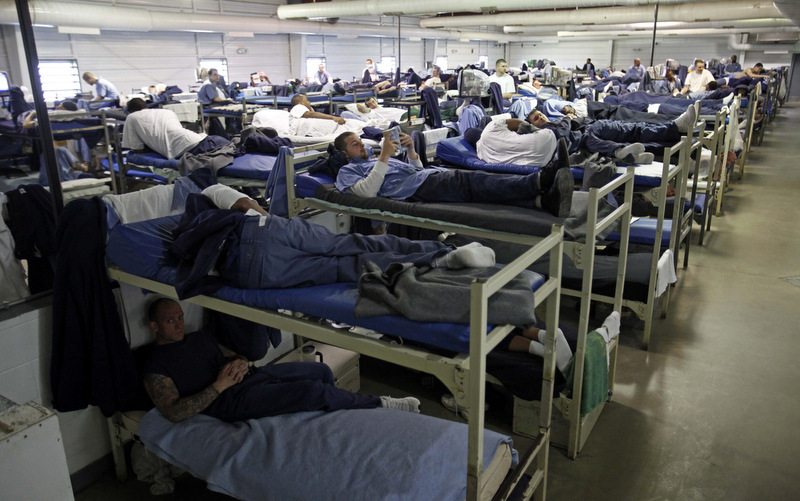 I talk to inmates and ask what one of the main reasons for low bunk is. One of the problems is that in FDOC the type of bed is like the second picture in this post, no stairs or rails. 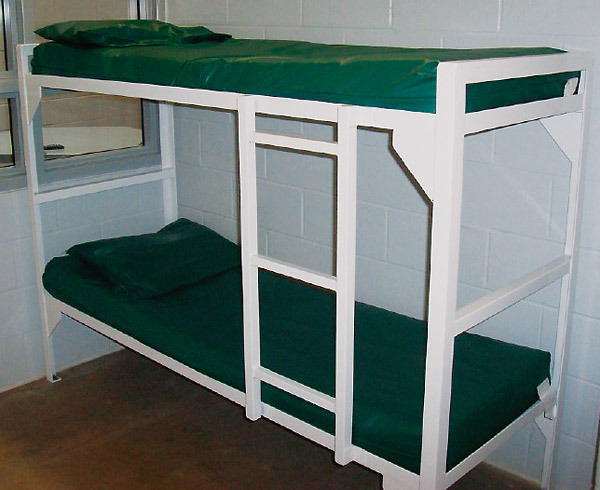 That make a huge difference because the main problem is that the low bunk inmate don let the top bunks inmates step on their best to goes up and down, that could represent and altercations. Probably if we had the first picture bed the amount of passes would be lower. The other reasons are common sense and medical and here is where your ability to make decisions comes. Excellent comment, Dr. Llorens! Thank you. Excellent put, thank you! A quite succinct yet complete summary on this topic. I would perhaps just add to the list of conditions that increase the risk of falling from the top bed: the effect of certain psychotropic drugs on the sense of balance (dizziness, vertigo, trembling, sleep disturbances etc); certain psychiatric conditions (most notably, uncontrolled hallucinations); states of withdrawal (especially when we know they are likely to occur anytime soon); arterial hypotension (either constitutional or medication-related); symptomatic anemias. It is also worth noting that security staff may not have the means to always check and enforce the actual occupancy of beds, or may not be interested in disrupting the natural hierarchy of dominance that settles spontaneously and makes itself known right after a new inmate comes into a room. This is one reason for which I think it is best to let the facility management know in advance which inmates are to be protected in such cases, before even the inmate would even request it. Management is usually more inclined to try to avoid a liability issue than to keep an inmate happy by approving his/her request. Excellent comments! Thank you. I’ll make some changes to the guideline based on this. Thank you again Jeff for great practice guidelines and associated pitfalls. Define USC guaranteed healthcare as care provided with indifference. Thus any medical decision made in regard to an inmate should be made in reference to a defined standard of care based upon best practice. Centers for Medicare and Medicaid Services (CMS) has continued to move steadfast in this direction, which has routinely been impetus for those “slower to act” organizations to adopt new policies, regulations and statutes (NCCHC). Many new challenges on the horizon.